The interesting thing about the chart is that it looks like it's due to breakout. The breakout could easily be triggered by (or waiting for) the US election on 8 November. The first thing to remember is that technical analysis is based on past performance and that does not guarantee future results. Do not put the Stop Loss on the supporting trendline because it's more likely to the hit there. Technical analysis does not care about Clinton's emails or Trump's catalogue of problems. 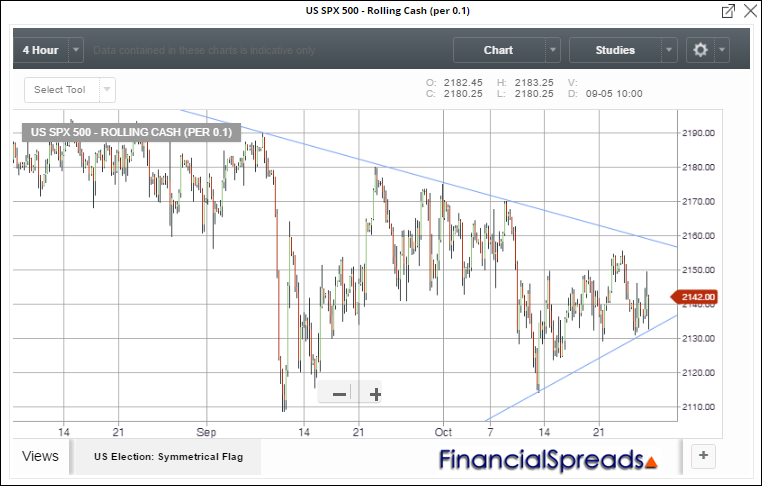 The theory just suggests the market will make a significant break out of the current pattern. 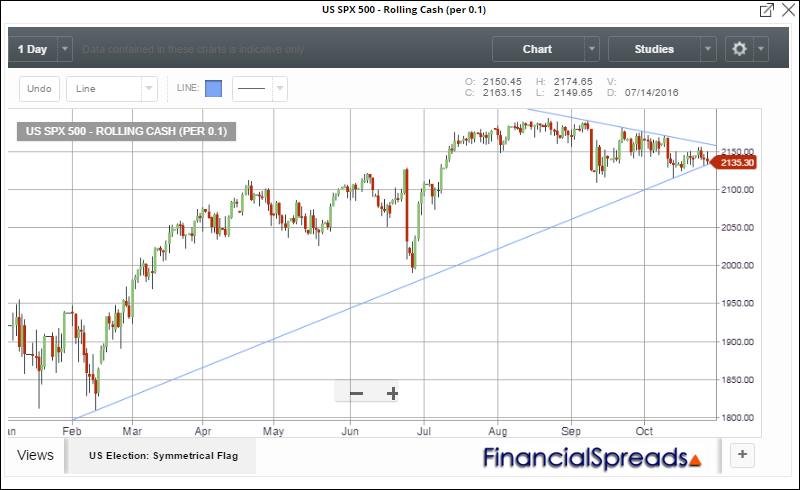 Again, if the S&P 500 breaks higher, the theory says you should buy the US index. If the index breaks lower, you short the US index. 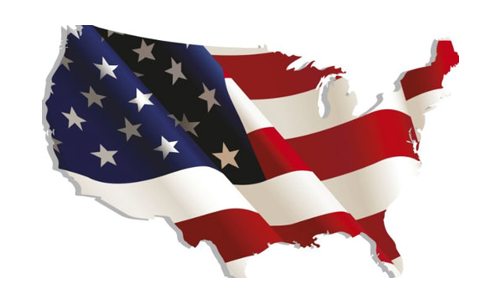 It's reasonable to expect the market to quieten down before the US election. It's also reasonable to expect a spike, or multiple spikes, both higher and lower, around 8 November. After that, the market should settle down and continue its merry way. We also know that past performance can't predict the future and the theory is only theory, it's certainly not fact. The real benefit might be that it makes investors think more about their trades and slow them down, i.e. the theory makes investors wait for the new pattern to be set before they trade. It should also make investors think more about their potential losses and where they should set a Stop Loss. If the theory holds true, investors still need to be careful, there could be significant volatility around the election. Market spikes could hit investors' Stop Loss orders and close their trades for a loss. At the same time though, this has been a US election unlike any other. The theory may not work on this occasion.